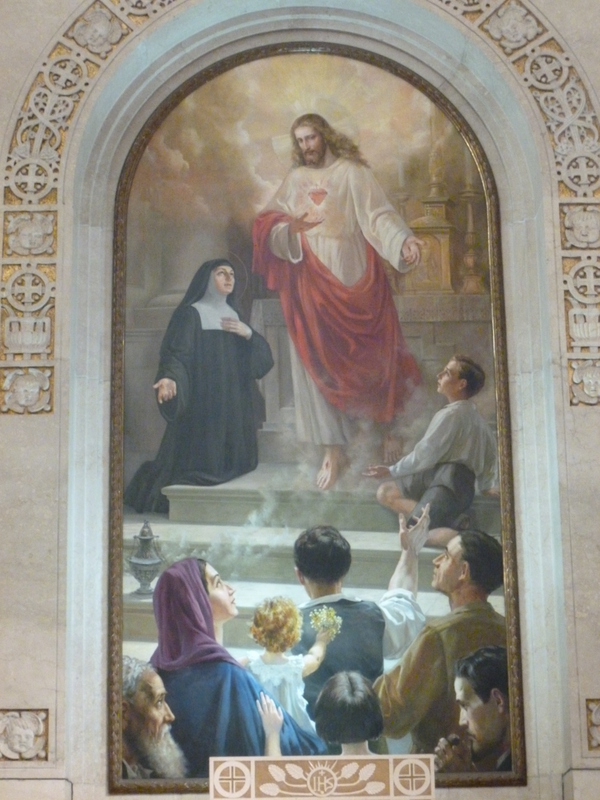 The Order of Prémontré has long been associated with devotion to the Sacred Heart of Jesus, especially since our very own St Hermann Joseph (+ 1241) is credited with writing the first devotional hymn to the Sacred Heart, long before the devotions “took off” after the visions accorded to St Margaret Mary Alacoque. We publish here, for our readers and confreres to join us in prayer, the form of the consecration of the Norbertine Order to the Sacred Heart, as first prayed by the whole Order at the General Chapter of 1889. It is our desire that, for the glory of God, this devotion which is so united to the Order’s great Eucharistic charism may flourish anew in our own day. And on this day when we pray especially for the sanctification of the clergy and for vocations, we ask Our Blessed Lord to grant all Norbertine priests the grace to be priests after his own heart. Almighty and Eternal God, we sons and daughters of St Norbert, whom Thou didst call to be so devoted an apostle of the Blessed Sacrament that he founded the Premonstratensian Order to promote devotion to the Holy Eucharist, cast ourselves humbly before the throne of Thy divine majesty and goodness. We are conscious of our calling, for which we consider ourselves entirely unworthy, and we are animated by the desire to render childlike devotion and love to Thy Sacred Heart which is present among men in the Blessed Sacrament of the Altar; which offers Itself daily to His heavenly Father; which is deeply wounded by indifference, even contempt, of those who are especially consecrated to It. We are also mindful of the wish of Thy most loving Heart, which Thou didst manifest to Thy servant, St Margaret Mary, that the entire world may be consecrated to Thee, – not only individual souls, but entire societies and congregations; therefore, we sons and daughters of Saint Norbert, here gathered together, consecrate our entire Order and every member of the Order forever to Thy Sacred Heart. We promise that it is our firm purpose and determination to promote devotion to the Blessed Sacrament and to Thy loving Heart, in us and in those entrusted to our care, and to render Thy Eucharistic Heart all possible praise and adoration. We beseech Thee, O Lord Jesus, that Thy blessing may always abide with, guide, and protect our Order, which solemnly and forever dedicates itself to Thee. Grant it fresh life and renewed strength that it may prosper in the future for the honour of Thy name, for the glory of Mother Church, and for the salvation of our own souls and the souls of others. Amen. Altar dedicated to the Sacred Heart, Church of Santa Maria Liberatrice, Testaccio, Rome. 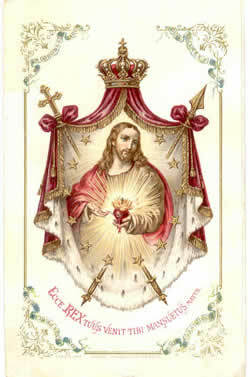 This Image was paid for by Pope Pius XII as a gift to the parish, which is run by the Salesians.